Google introduces email annotations for Gmail promo tab. The prospect of landing in Gmail’s promotion tab just got a little more enticing for email marketers. The new experience gives marketers an innovative way to drive engagement with promotional email recipients by adding high-quality images to the annotations, making them more enticing and inspiring. Email annotations use recipients’ interests to automatically highlight and group the most relevant email promotions at the top of the inbox. This process is powered by machine learning using a number of factors (according to Google). Marketers will be able to customize five elements with annotations, including sender logo URL, single image preview URL, deal badge, promo code, and expiration date. Google also has future use cases for annotations, including topic bundles catalog cards with calls-to-action, text-over-image cards, and catalog cards for events. 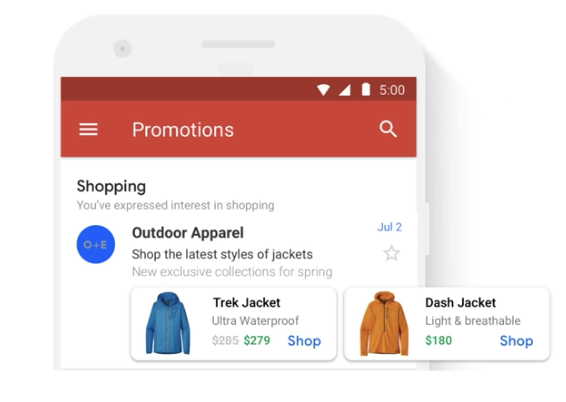 While introducing email annotations, Google also updated a new primary tab teaser for promotional emails, creating a more visually inspiring and valuable preview. New products and innovations for Gmail tend to create a temporary buzz in the email marketing community, but I believe email annotations are here to stay. 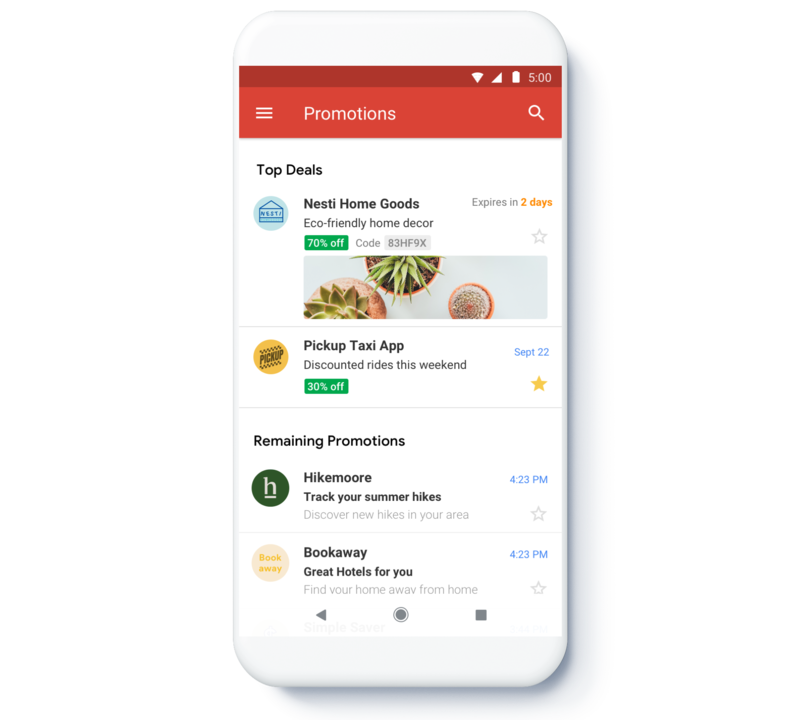 Email users will benefit from an optimized visual experience immediately upon accessing the promotions tab, connecting users with brands they love before even opening an email. There are also early signs indicating annotating emails can boost engagement at Gmail. 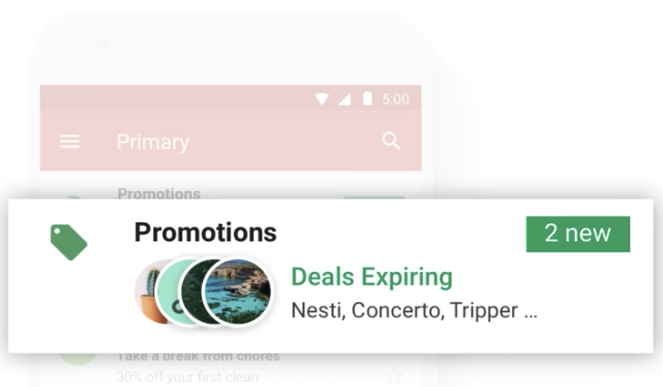 What is yet to be seen is how this new experience will impact engagement metrics, like open and click tracking, as information on promo code, deal, and expiration can be surfaced without having to open the email altogether. However, according to Google’s FAQ’s, annotations do allow developers to place any tracking on the image they like. If anything, these new features may counter marketers obsession with the primary tab, as email annotation’s value is promotion tab-specific. Redbox is one of hundreds of brands currently annotating emails with this new functionality, including Samsung, Kate Spade, and Pandora, to name a few. Developers interested in annotating and customizing their emails can check out Google’s helpful guides and best practices. 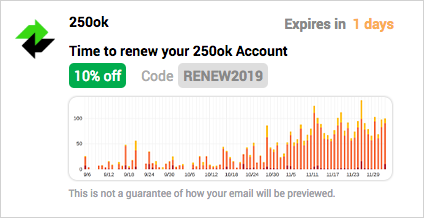 Because we like to build stuff, you can also preview what an annotation can look like with 250ok’s free Gmail annotation preview tool (no email address required)! Easily test out different offers, sender logos, and offer image previews to see how your annotation will render in the promotions tab without needing to learn how to write JSON code. Win! Once you finalize your annotation, seamlessly copy the < script > tag and paste it into the < head > section of your email template to bring your promotional emails to life. Gmail’s annotations are currently live on the Gmail mobile apps on Android and iOS, and are scheduled to roll out to desktop early next year.